A lot of us are fond of watching, saving, and taking videos. In this day and age, we tend to document almost every moment of our daily lives. Apart from this, we also often save videos from the internet and watch them on our free time. However, our most loved videos are not always perfect. Sometimes, we need to edit and change some aspects of our videos. One of these necessary edits is rotation. Rotating a video can be done in many ways. In this article, we will be providing you with a step-by-step tutorial on how to rotate videos by 90 degrees, how to rotate horizontal and vertical mirror videos, and how to rotate iPhone videos. We will also be adding in a simple guide on how to convert other formats to mp4, flv, mpg, mov, and avi. STEP 1 - Download and install the Video Rotator program. The download link is available below. 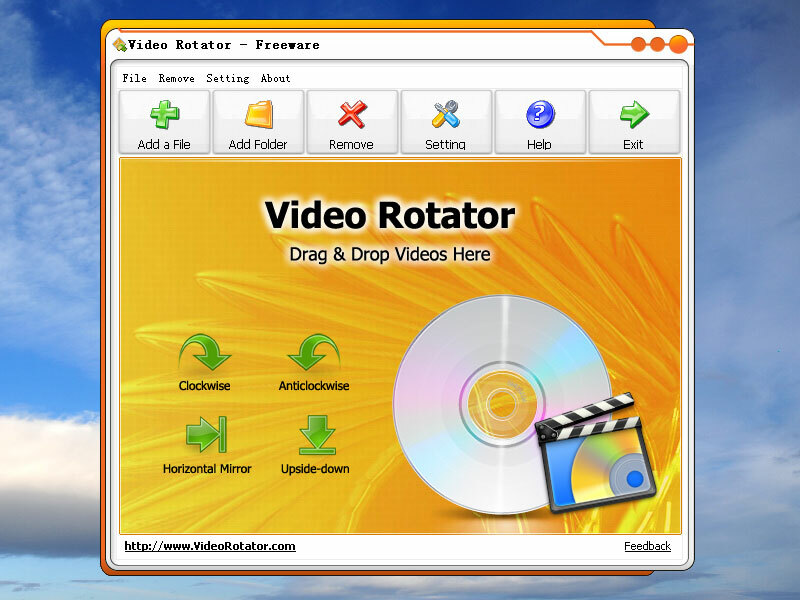 After you have successfully downloaded and installed the Video Rotator program, simply run the program. STEP 2 - Click on the "Add a File" button, or simply drag and drop your desired videos onto the program. This will automatically add your videos into the file list. STEP 3 - Under the "Rotate" option, choose the "Clockwise" or "Anticlockwise" option depending on what direction you need to rotate your video. STEP 4 - Click on the output path box and select the output folder. This will make sure that your file gets saved in the right place. STEP 5 - To begin rotating your videos, click on the "Rotate Videos Now" button. The program will immediately start to rotate your videos in accordance with the settings you have inputted. STEP 1 - Run the same Video Rotator program. STEP 3 - Under "Rotate", change the option "Horizontal Mirror" or "Flip Upside-down" depending on how you need to rotate your video. STEP 1 - Start by connecting your iPhone to your PC. STEP 2 - Use either iTunes or Windows Explorer to transfer the videos you would like to rotate from your iPhone to your PC. STEP 3 - Run the Video Rotator and select your favorite or desired rotating option under "Rotate". STEP 1 - Run the Video Rotator. STEP 3 - Under the "Output Format" option, choose the video format you would like to convert your video into. STEP 4 - Change the "Rotate" option to "None" to make sure that the program does not rotate your video but only convert it. STEP 5 - To begin converting your video, click on the "Rotate Videos Now" button. The program will immediately start to rotate your video in accordance with the settings you have inputted.